Kalafatis. 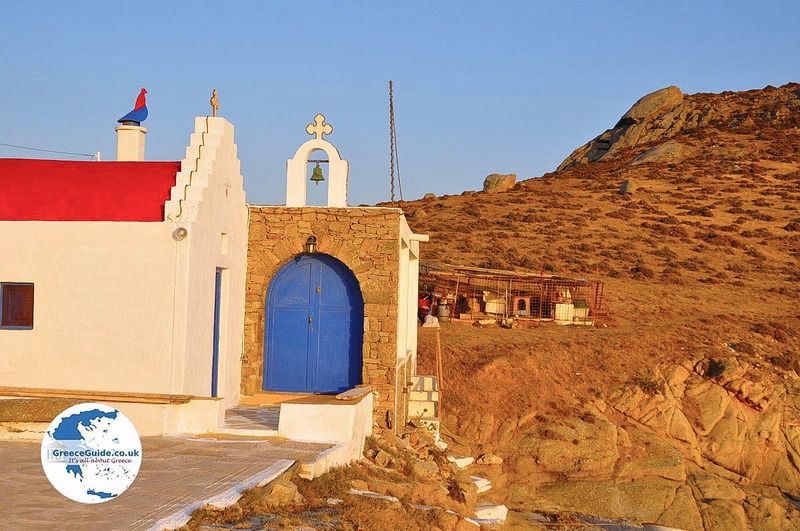 Kalafatis is a small village in the southeast of the Greek island of Mykonos. 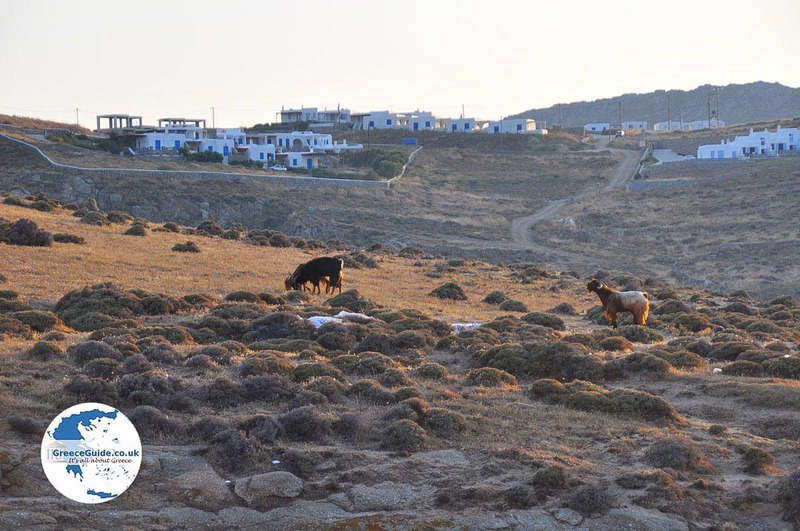 It is located approximately 12 kilometers (7 mi) from Mykonos Town and three kilometers (less than 2 mi) from Ano Mera. It is a village with a beautiful sandy beach. Because of the wind, it’s a good place for windsurfing. 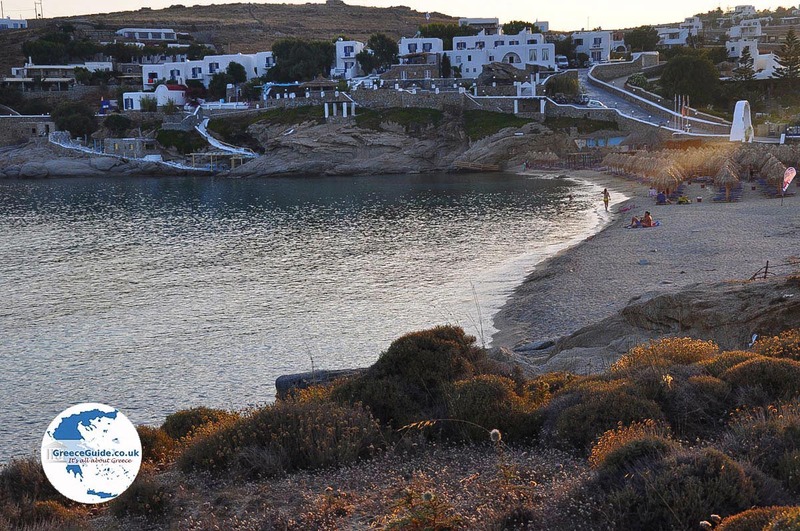 In a two kilometer (less than a mi) radius there are several beaches, and some hotels and rooms for rent. The beach of Kalafatis is fairly well managed. You can rent sun beds and umbrellas. Unfortunately, there are no restaurants here. 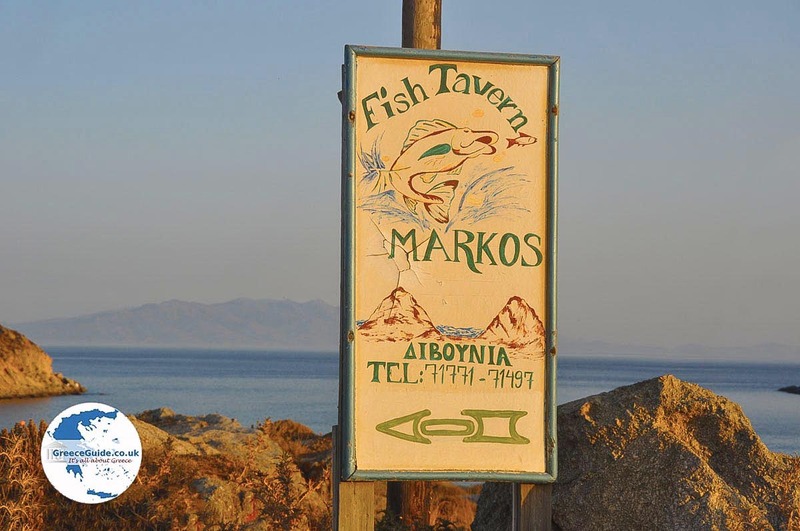 On Mykonos everything is close by, so you might have to travel to eat, but it’ll not be a great distance. 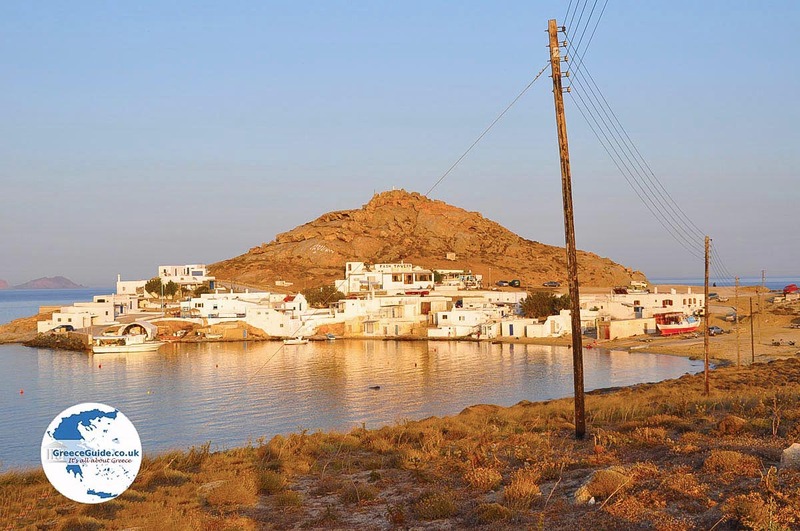 At the edge of the beach of Kalafatis is a hamlet called Divounia. 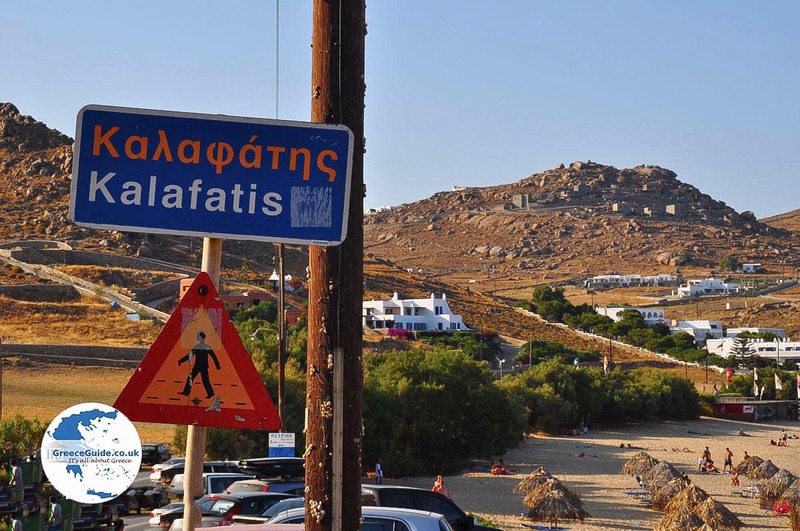 Literally it means "two mountains." 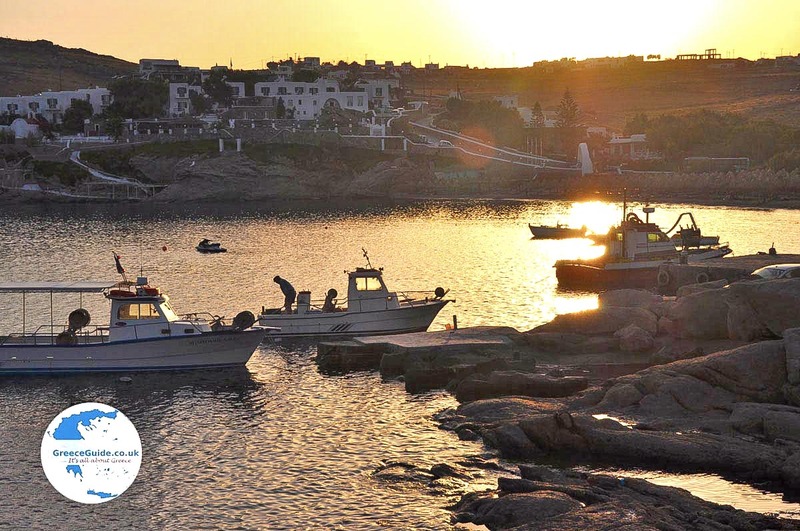 It is a small fishing village. The village has a tavern and just outside is a small mini market. 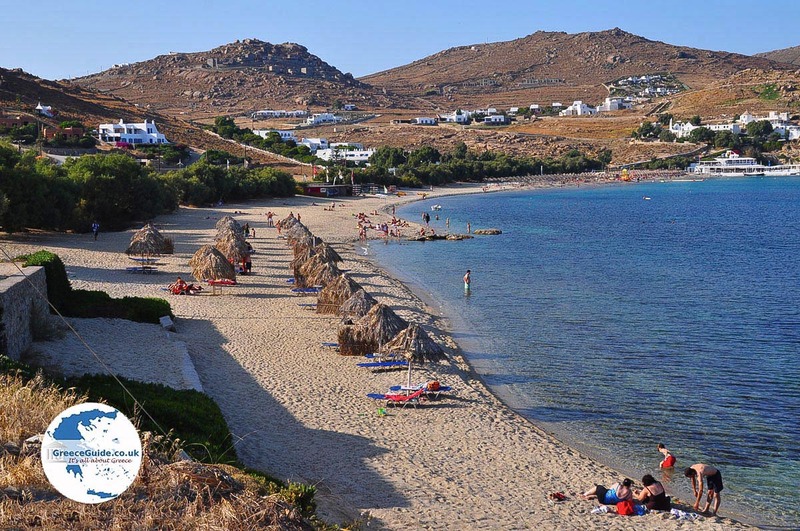 On the other side of the bay, within walking distance, is the beach of Agia Anna (note: there are two Agia Annas on Mykonos). This beach is also very good. 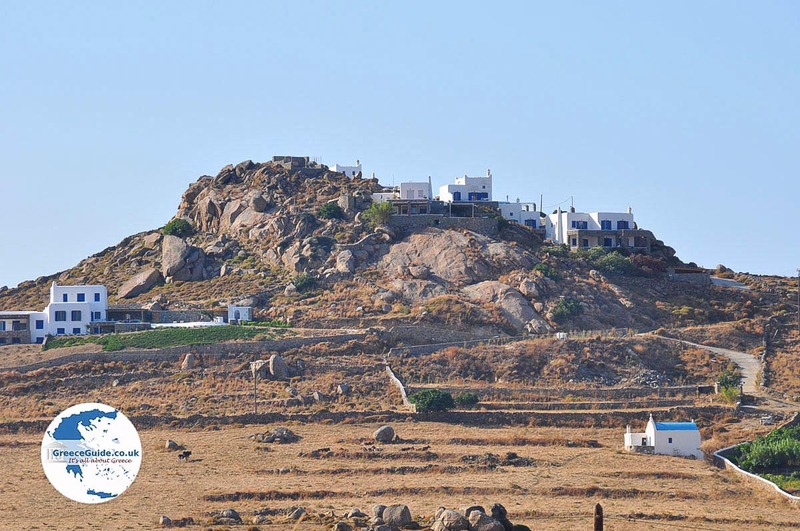 There is a place where fishing boats can dock and at the low hills across the road is a hotel. This beach is also equipped with umbrellas and sunbeds. 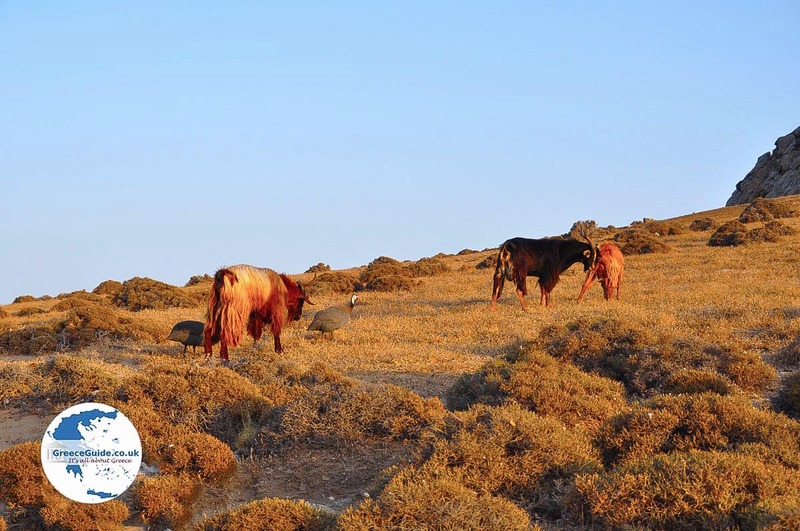 Kalafatis is a place for quiet and relaxation. 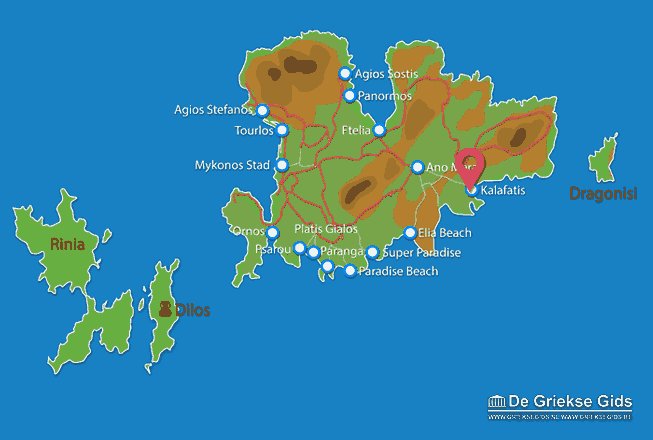 Mykonos: Where on the map is Kalafatis located?